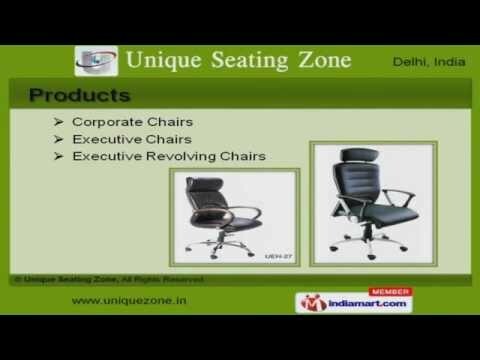 Welcome to Unique Seating Zone, Manufacturer and Supplier of Furniture. The company was incorporated in the year 2010. Modern infrastructure facilities and technologically advanced machines have helped us to earn clients across the globe. Â ASFÂ Group and Decor Modular are some of our esteemed clients and we are backed by large production capacity and Prompt delivery of products. We offer a huge gamut of Corporate, Executive and Executive Revolving Chairs. Our Mesh, Staff and Visitor Chairs are well known for their durability. We are engaged in offering supreme quality Sofa Sets for Offices, Workstation and Students Chairs. We are offering a top notch quality range of OfficeÂ Storages, Stainless Steel and School Furniture. Along with that we offer Shredder Machines, Restaurant and Canteen Furniture that are in huge demand across the global markets. Our clients can avail from us an exquisite range of Office and Bar Furniture that are setting a performance standard in the market.